Hexagon’s Manufacturing Intelligence division announced today the launch of its Optiv Performance 322 coordinate measuring machine (CMM) at the International Manufacturing Technology Show (IMTS) 2018, Booth 135202, September 10 – 15, McCormick Place, Chicago, IL. IMTS 2018 is the premier manufacturing technology show in North America. The Optiv Performance 322 is a customizable benchtop CMM with a small footprint and convenient upgradability which caters to a variety of applications. Weighing under 400 lbs, the fixed bridge and moving table-type machine is light enough to be placed directly on existing workbenches and relocated without recalibration by a Hexagon engineer. In addition to saving floorspace, the machine allows for increased accuracy and repeatability at high speed (300 mm/s) and high acceleration due to the stiffness of its granite construction. The CMM features advanced temperature compensation technology that calculates a correction value for measurement deviations to ensure users get consistently stable results. The Optiv Performance 322 is ideal for the inspection of sheet metal stampings, injection-molded plastic parts, profile scanning, and more applications. Equipped with PC-DMIS software, the benchtop CMM is designed for flexibility and can measure a range of different parts with minimal turnaround times. 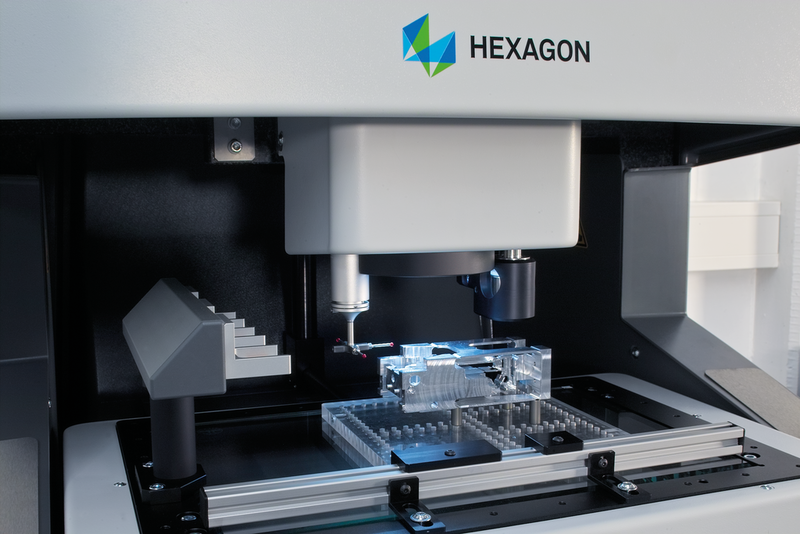 The CMM is available in an entry-level vision-only configuration. However, the future-ready machine’s 3D accuracy specification and pre-cabling enables easy in-field upgrades to a complete 3D multisensor solution supporting a range of contact and non-contact sensors, reducing customer requirements for multiple products in the inspection area. The system is built on a modular concept, so the sensors, controllers, PC and measuring software can easily be customized and scaled to changing requirements. The Optiv Performance 322 is now available to order worldwide. More information is available through local Hexagon Manufacturing Intelligence commercial operations and dealers. Hexagon is a global leader in digital solutions that create Autonomous Connected Ecosystems (ACE). Hexagon (Nasdaq Stockholm: HEXA B) has approximately 18,000 employees in 50 countries and net sales of approximately 3.5bn EUR.